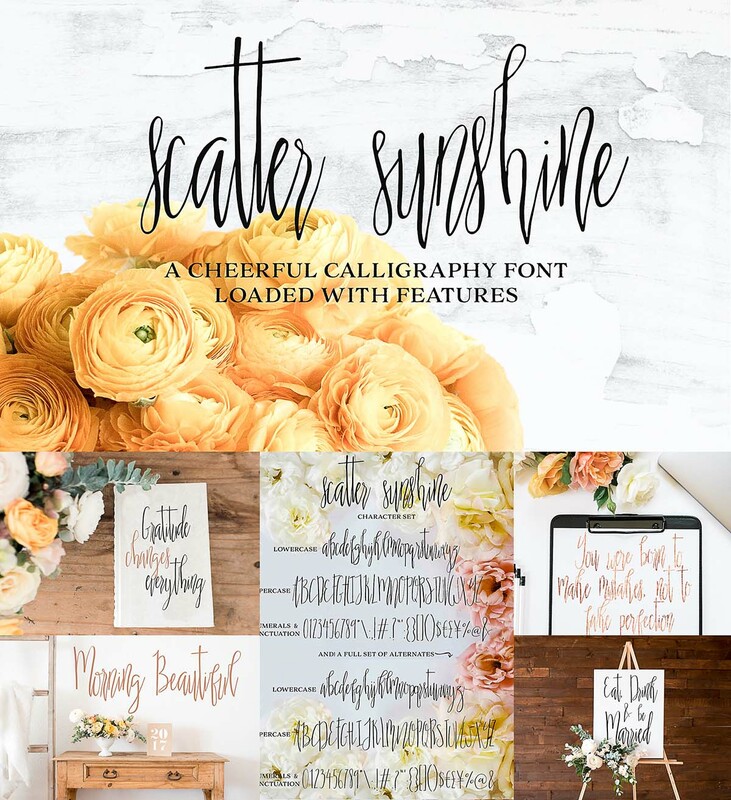 Introducing Scatter Sunshine! A cheerful, hand inked calligraphy font that is simultaneously elegant and playful, with a distinctive vertical shape. Perfect for weddings, branding, signage, and everything in between. File format: .otf, .ttf, .eot, .woff for Photoshop or other software. Tags: calligraphy, Elegant, ligature, narrow, script, tall, typeface, typography, wedding font.